George Williams College is an inclusive community dedicated to the transformative power of learning. 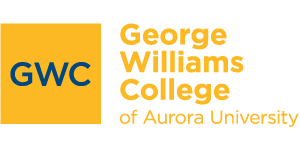 We draw upon the rich legacies of Aurora College and George Williams College to welcome learners to our campuses in Illinois and Wisconsin. Today, as in the past, we prize the twin virtues of character and scholarship and affirm our commitment to the values of integrity, citizenship, continuous learning and excellence. We will adhere to the highest standards of integrity in every aspect of institutional practice and operation. Through this proven dedication to honesty, respect, fairness, and ethical conduct, we will lead by example and inspire our students to do the same. We will exercise the rights and responsibilities of citizenship in an educational community, founded upon the principles of mutual respect and open discourse. We will live within our means and manage our resources wisely, while creating an environment that fosters teamwork and promotes service to others. We will work and live as an organization devoted to continuous learning. We recognize that the university exists in a diverse and changing world and know that we will succeed in helping students achieve their full potential only if we realize our own. We seek a growth process that is never-ending. We will pursue excellence by embracing quality as a way of community life. Accordingly, we will set high expectations for ourselves, our students and our university and will work together to attain them. The University’s core values are the foundation upon which our aspirations rest. They undergird our belief in the transformative power of learning. As members of the Aurora University community, we enter into a voluntary compact with one another to live, learn and work in ways consistent with these ideals.